The American Museum of Fly Fishing has announced Rachel Finn as the 2018 Izaak Walton Award recipient. “Rachel truly embodies Walton’s ideal of the “compleat” angler,” says AMFF Executive Director Sarah Foster. Manchester, Vermont (October 1, 2018) – The American Museum of Fly Fishing is proud to announce Rachel Finn as the 2018 Izaak Walton Award recipient. The celebration will take place on November 1 at the Boston College Club, located on the 36th floor of 100 Federal Street at the heart of Boston’s financial district at 6:00PM. “Rachel truly embodies Walton’s ideal of the “compleat” angler. Not only is she one of the country’s most sought-after guides for her wealth of fly fishing knowledge and skill as a teacher, people also just love spending time enjoying her laid-back style, warmth, and humor,” said AMFF Executive Director Sarah Foster. Rachel is head guide at The Hungry Trout Resort in the Northern Adirondack Mountains and is on the pro staff Scott Fly Rod, Nautilus, and Airflo, as well as representing Patagonia as a Fly Fishing ambassador. We are proud to say that she is also an AMFF Ambassador. A highly accomplished artist with an MFA from Yale, Rachel’s artwork reflects her passion and exuberance for the natural world. She is known as one of the most wonderful and colorful characters in the fly fishing industry. Lori-Ann Murphy of Reel Women Fly Fishing Adventures in Belize will be leading the evening’s tribute. Tickets for the reception and award presentation are $150 each and available at amff.org/events or by calling the museum at 802.362.3300. All proceeds will benefit public programs at the museum. The Izaak Walton Award was established in 2014 to honor and celebrate individuals who live by the “Compleat Angler” philosophy. Their passion for the sport of fly fishing and their involvement in the angling community provides inspiration for others and promotes the legacy of leadership for future generations. Rachel will be joining other fly-fishing leaders who have received this award including Ed Jaworowski (2014), Tom Davidson (2015), James Prosek (2016) and Jim Klug (2017). 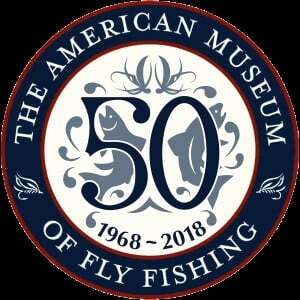 The American Museum of Fly Fishing is open from 10AM – 4 PM, Tuesday – Sunday from May through October and Tuesday – Saturday from November through June. In celebration of its 50th Anniversary, admission is free on Fridays in 2018. For more information about the Museum please visit our website amff.org or connect with us on Facebook, Instagram, and Twitter.